What do you do when your tenant screening reports turn up a negative history, but the applicant denies it? For one property manager, there is no “innocent before proven guilty” when it comes to applying for a rental. The burden stays with the tenant to prove the report is false. 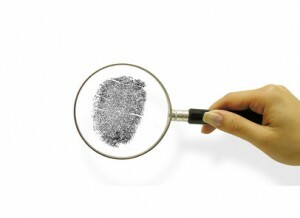 A false positive – a negative tenant screening report that shouldn’t be connected to your applicant, is most likely to occur with criminal background checks. The reason: courts generally do not attach identifying information like SSN’s to criminal dispositions to protect the defendant’s privacy. But the same can happen with eviction reports, especially if the applicant has omitted a previous address from the application. With credit reports, the applicant may have been victim of identify theft. Then again, they could be trying to cover up a negative mark in order to trick the landlord into renting to them. The best way to avoid the rare occurrence of the false positive is to collect as much identifying information during tenant screening as legally possible. It is helpful to include a date of birth, the person’s full legal name including middle names, any nicknames or aliases, SSN, and a list of previous addresses. If the applicant is married, a landlord should have both spouses fill out an application and run separate tenant screening reports. Comparing this information could offer insights into the truth – for instance, the spouse’s name may be on the same eviction case, or list different past addresses on their credit report. If you have requested previous landlord references from your applicant, this can be an easy way to verify a false positive, particularly an eviction. There’s no requirement that the landlord work with someone who is claiming a false positive, so long as they follow the rules for rejecting tenants in general — see How to Reject a Tenant Without Getting Sued. Just be sure to follow the policy consistently with all applicants. A property manager that we spoke with doesn’t necessarily buy the “false positive” story. She prefers to assume the report could be true, and asks the applicant to supply evidence to collaborate the claim — a letter from a previous landlord, from a court, or requests to the credit bureaus to fix an erroneous entry on a credit report. It is not always easy for a tenant to prove a false positive. A man in Wisconsin was forced to file a lawsuit against his home state earlier this year after being turned down for a rental over his criminal background check. His name is the same as an alias used by another Milwaukee resident with a long record of arrests and convictions. His suit is levied against the state Attorney General and other administrators in charge of the Criminal Information Bureau, asking for a court to order the Department of Justice to stop providing false criminal reports to landlords and employers. Under the current system in that area, name-based searches generate information related to that person as well as criminal history of someone who may have used a similar name and birth date. A process is in place to correct false information; however, in this case, after several attempts, the records have not been updated. A spokesman for the Department of Justice said the CIB is operated according to state law. It is common for an applicant who has a negative tenant screening report to deny it. It may be impossible to determine if the report is true or false in the time frame a landlord has for filling a vacancy. If you find you want to work with applicants who claim a false positive, contact your tenant screening company and ask them to help you verify the report. Tenant Verification Service’s Customer Service Representatives check our reports against previous addresses, birth dates, or other identifying information to determine the likelihood of a false positive. Previous post: What Should I Do When My Best Applicants Have Pets?